Available at Budds’ BMW Oakville the BMW X3 is ideally suited to everyday challenges and equally so to lengthy journeys. While the exterior is characterized by the typical BMW X character, the interior inspires thanks to selected materials that convey an impression of especially high quality. 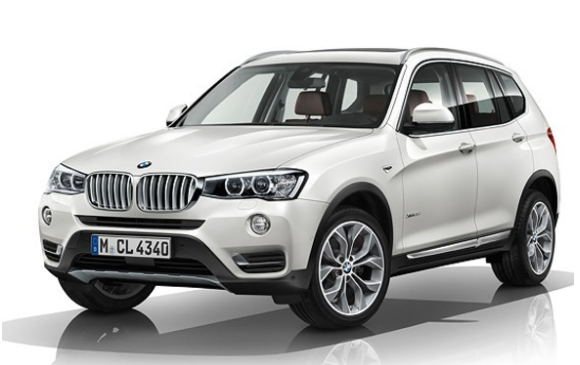 The BMW X3 also impresses with its economical BMW TwinPower Turbo diesel and gasoline engines. Continue reading this page to find more information about the BMW X3 at Budds’ BMW Oakville! 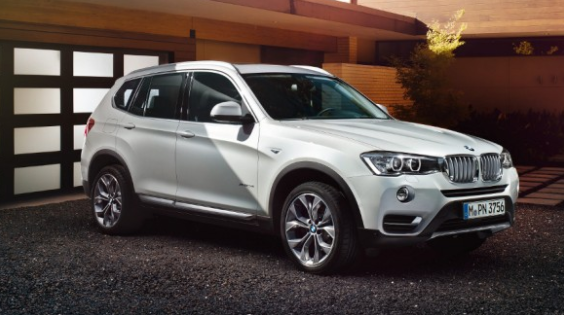 Sportiness is the standard that the BMW X3’s exterior comes with. Its wide front bumper and powerful air inlets give the vehicle a commanding presence on the road. This vehicle exudes confidence with its large double kidney grille that is located in a central position. Available in standard Xenon or optional full LED technology, the distinctive headlights extend from both sides ot the front grill and add a finishing touch to the X3’s dominating front end. Indicator lamps are integrated into the exterior mirror housings as well. The BMW X3 has a very memorable side silhouette as well. A character line extending to the rear emphasizes the hint of a wedge shape, which adds a further air of dynamics. The unique interpretation of the Hofmeister kink identifies the vehicle unambiguously as a BMW X3. The rear bumper is also very dominant and rounds off the overall appearance of the vehicle and emphasizes the solid, stable stance. The underbody of the X3 is also aluminum for maximum protection. Functionality combined with a high quality atmosphere is a ball that has been hit out of the park by the BMW X3. Separated by defining lines that distinguish the instrument panel and the inside of the doors. The center console in the X3 has a curvature that has become a common occurrence in BMW vehicles and has also become a staple that emphasizes the modern look while maintaining driver functionality. And thanks to the elevated seating position, all passengers enjoy an outstanding view. In addition, the BMW X3 impresses with equipment options of a quality that you can see and feel immediately. Selected materials with details such as chrome trims and highlighted accents emphasize the modernity and quality of the interior. Providing outstanding traction at all times, the intelligent BMW xDrive four-wheel drive system adapts perfectly to all kinds of road conditions and challenges. With xDrive and Dynamic Stability Control (DSC), the vehicle remains directionally stable and on track. Split second response times allow xDrive to distribute drive power flexibly between the two axles for optimum grip. xDrive combines all the advantages of all-wheel drive, traction, directional stability and safety, with classic BMW agility. For more information about the BMW X3 at Budds’ BMW Oakville, please feel free to continue browsing through our website. We can also be reached at (905)845-3577 or by filling out our contact form.